Once again I have to depend on the legal draft of the 19th Amendment published in the Colombo Telegraph. Moreover, I am forced to assume this is authentic document although Sri Lankan press has yet to come out with the full document. We witnessed somewhat similar happening two weeks ago. Many politicians informed in public that they loved Senaka Bibile drug policy. But when they got a chance to implement it, they looked for a cover and Minister Rajitha Senaratna introduced a caricature of it. Similarly, during the election campaign we heard in many an occasion a praise for Dr N M Perera’s critique of the 1978 Constitution and a promise to draft an amendment incorporating his views. Fifty days after the Presidential Election we saw a legal draft of the 19th Amendment that almost totally disregarded N M’s visionary critique of the 1978 Constitution. What is included in the draft 19th Amendment to the Second Republic Constitution of 1978 may be divided into two sub categories. Before I turn to them it is essential to discuss noticeable “silences”. However, what the 19th Amendment is silent about is as important as what is present in it. 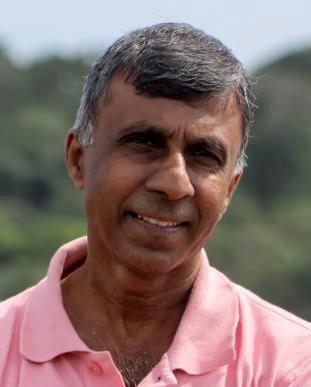 It is imperative to note that if someone is seeking changes to the state structure making it more democratic and ensuring good and accommodative governance while totally disregarding the national question that is one of the key issues that has been flagged in the constitutional discourse since the early 1980s, it is nothing but hypocrisy. Dr N M Perera referring to some positive features of the Constitution of 1978 on the issue of language wrote: “Chapter iv no longer satisfies. What might have satisfied the Tamil community twenty years back [he referred to parity status to which the Lanka Samasamaja Party fought for] cannot be adequate twenty years later. Other concessions along the lines of regional autonomy will have to be in the offing if healthy and harmonious relations are to be regained” (A Critical Analysis of the 1978 Constitution, 2013, p. 16). Ironically, even after 60 years, the so-called guardian of democracy have not even given an iota of attention to this burning issue. Silences more than what is present speak louder. Should the Tamil National Alliance and Muslim Congress vote for the 19th Amendment as it is without proposing an amendment incorporating the respective demands of the numerically small communities/ nations? Two issues that have been attempted to address by the draft 19th Amendment are (1) the changes to the executive presidential system and (2) the changes to ensure good governance. In order to ensure good governance, to eliminate waste and corruption and to protect the independence of the judiciary two principal suggestions have been made. The first is to bring in with modifications the principles upheld in the 17th Amendment as it was almost nullified by the brining in of the 18th Amendment to the Constitution by the UPFA government. Hence it reestablish a powerful constitutional council. One of the key drawbacks of the constitutional council of the 17th Amendment was that the President by not appointing his/her nominee would have stopped the functioning of the 17th Amendment mechanism. Some time ago I with Ravi Jaywardena filed a FR case to address this issue. The 19th Amendment has corrected this by proposing 41E (8). This is commendable. However, one ambiguity remains although it may not upset the functioning of the Constitutional Council. In the case of the President appointing a member of the Constitutional Council under 41A (d), should he act on the advice of the Prime Minister? If it is the case (I am not clear), what is the purpose of this seat of the Constitutional Council? While welcoming the establishment of the Constitutional Council Mechanism as an improvement of the present system of governance, two key issues may be raised. Those who watched the revealing two British comedy series, Yes Minister and Yes Prime Minister, may justifiably anticipate a strong trend of bureaucratization as a result of these changes unless countervailing forces are put in motion. Distancing some of the executive branches from the influence of masses is a notion that is associated with the notion of separation of powers. However, if there is no mechanisms to strike a balance, this may lead to bureaucratize the state empowering the elitist bureaucrats and the upper segment of the population. To avoid this, the mechanism introduced in the 1972 Constitution was to subordinate the public services to the state assembly. However, this has led as we witnessed in the last 40 years to politicization of the public service. How to avoid these two trends is basically a practical question that depends on many factors that lie beyond constitutional and legal niceties. One way of countering bureaucratization is to broaden the composition of the committees allowing trade unions, mass organizations and others to participate. The second institutional mechanism devised in the 19th Amendment in order to ensure good governance is the setting up of what is called the Council of State. It has 65 members out of which 36 were appointed by the Prime Minister and the Leader of the Opposition. Nine Chief Minister will be the ex officio members of the council while the remaining 20 is appointed by the political parties in the Parliament. This is not a second chamber and in my opinion would not perform any useful function. Weighing its stated objectives and functions against the cost of maintain 56 new members plus its officials may be described as an utter waste of public money. All the criticisms levelled against the 1978 Constitution and the executive presidential system by Dr N M Perera remain equally applied to the system proposed by the 19th Amendment. It does not propose to abolish the executive presidential system but to preserve its hybridity by making it more unstable and contradictory. The proposed amendment tends to create a new distinction between the state and the government. Nonetheless, it has failed to make this distinction clear and rigorous. The implication it provides is that the President is the head of the state while the Prime Minister the head of the government. “42. (1) There shall be a Cabinet of Ministers charged, subject to the provisions of the Constitution, with the direction and control of the Government of the Republic. According to the above, the Cabinet of Ministers is the Government and its head is the Prime Minister. Hybridity has been once again maintained by dividing executive power between the President and the Cabinet of Ministers. In 1972 Constitution as well as in 2000 Constitutional draft President was a nominal head of executive and the real power of the state as well as the government were supposed to be exercised by the Cabinet of Ministers. If the President can exercise some powers, one may raise the question as to what would be the mechanism for the resolution of a conflict between the President and the Cabinet of Ministers. When there exist two elected bodies, elected directly by the people, it may be a violation of the principle of election if one elected body is made subservient to other elected body/ bodies. Although 1978 Constitution have degraded the Parliament, the Parliament had the powers to check the President in many ways. The President responded to this by giving ‘bribes’ to the Parliamentarians thus making his position unthreatened. The proposed Amendment has made the elected president virtually a nominal unelected president thus downgrading the power of the people. Why the President should be elected if s/he should act always on the advice of the President? Why spending enormous amount of money and resources on presidential election? To satisfy the image of the president, 19th Amendment introduced some banalities as functions of the President. Let me focus on Article 33 (1) that states “The President shall be the symbol of national unity”. In the USA, this can be said with some justification as the electoral college system provides a degree ‘national’ stature to the presidency. What is the mechanism that is devised to ensure that the substantial number of votes of the numerically small and nations and ethnic groups is needed for someone to be elected as the president? The way in which the President is elected does not have such a guarantee. Article 38 (d) and (e) is a gross violation of the choice of the peoples as 38 (d) allows for a committee consisting the Speaker, the Prime Minister and the Chief Justice to declare that the president is incapable of discharging his/ her duties. Here no suggestion even to consult the Leader of the Opposition!! According to 38 (e) the Parliament can also remove the President by two third majority of the House. President J R Jayawardene devised the 1978 Constitution to maintain the power constellation that emerged at the Parliamentary Election of 1977. 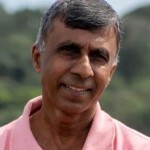 Although there was a theoretical possibility of ‘a conflicting situation that could arise out of the constitutional relationship between an elected president and an elected Parliament “ (Dr Colvin R de Silva), it was avoided by the huge UNP majority in the Parliament. In that sense the 1978 Constitution was a constitutionalization of the post 1977 situation. In this sense, I would argue that that the 19th Amendment is not a response to the long term constitutional needs of the country but an attempt for the constitutionalization of the post January 8 situation. “Such rapid [and unthoughtful] changes make for instability, insecurity and disloyalty”. One commendable thing about the draft is its intention to avoid masculinity in its language. It uses he/she and him/her rather than he or him. However, to make it consistent it is necessary to change the language in the main text as well. 2. Repeal the 18th Amendment and add to 17th Amendment 41E (8) of the 19th Amendment. 3. Delete the idea of the setting up of the Council of the State that would be an utter waste of money. An Arab Spring Or A Barack Obama?